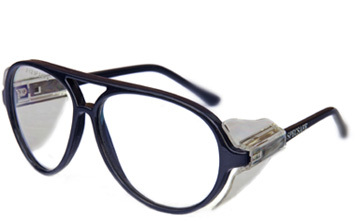 Lightweight fashionable unisex Aviator frame in Cobalt Blue. Durable long life 5 barrel metal hinge. Twin bridge for added strength. Wire cored sidearms ensure individual secure fitting.